If you missed my previous posts on (DIY Home Spa & DIY Home Facial) this is the last in my series finishing off with Hair Spa / Treatment, the products I enjoy using and how I save time in the mornings. 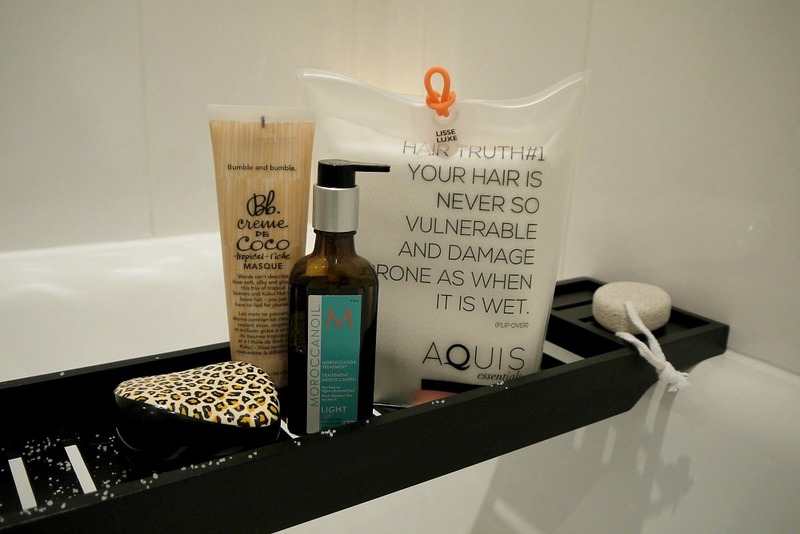 Once a week or once every 2 weeks I love to put on a hair mask for that extra treat as our hair tends to gets neglected. It's very simple apply any mask, I like to use the Bumble Bumble coco one and stick a shower cap on and leave it for a good 30-45 minutes or however long you like. You can carry on doing stuff around the house while it's on and the heat from your heat makes everything warm and makes the product work extra harder. When you wash it out you are left with super soft / smooth hair! 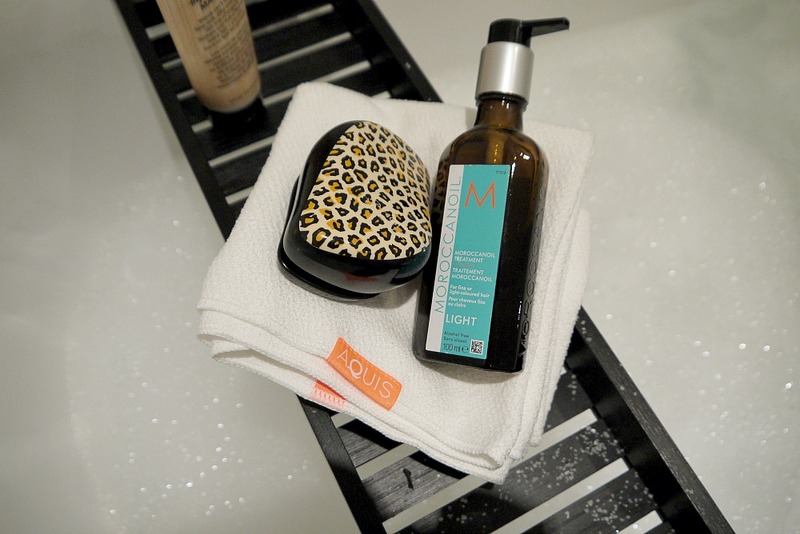 In the morning at the weekends I just wash then wrap my hair using the Aquis Hair Towel. Having had my hair straightened permanently (Yuko Straightening) a few weeks ago because I was forever putting it up because I just have no time to style these days and getting out of the door on time is hard enough. Since having it done my hair only takes me 15 minutes to sort out and that includes a wash and blow dry! Me being greedy wanting to save even more time Aquis hair towel was my answer. I can leave my hair wrapped up after washing whilst packing the nappy bag because this towel is super super absorbent, tight and easy to tie helping me save every minute possible. I tend to leave it in for 5 minutes then brush through with tangle teezer. Then a few drips of Moroccan light hair oil to run through the ends of my hair and a quick blast under the hair dryer and I am done ready to go out the door.